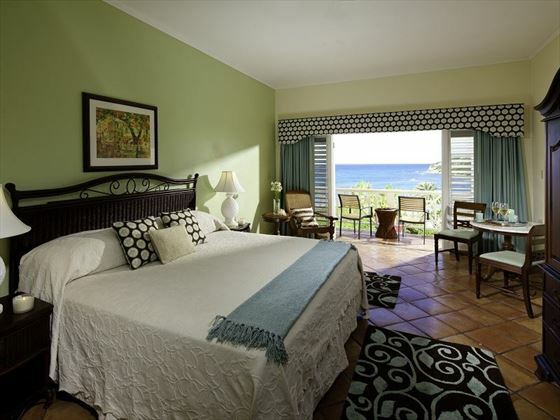 Formally known as Grand Pineapple Beach, this charming adult-only resort is now better known for being a beachfront paradise steeped in vibrant Caribbean culture, with kooky plantation style accommodation you just can’t help but fall in love with. 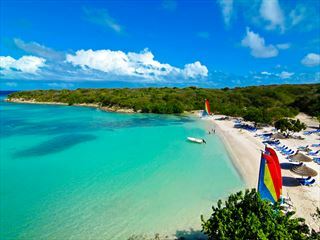 Pineapple Beach Club boasts a beautiful quarter-mile stretch of sugary white beach in the east of Antigua, and we’re certain your heart will sing when you see the stunning ocean views. 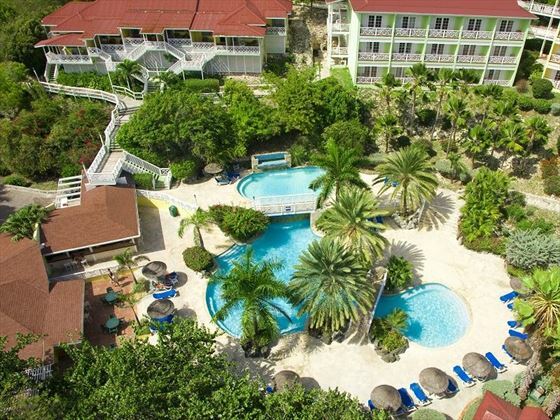 Stroll away from the powdery sands and you’ll find yourself immersed in the 30 acres of lush, emerald green flora, creating a jungle feel that adds a touch of seclusion to your stay. 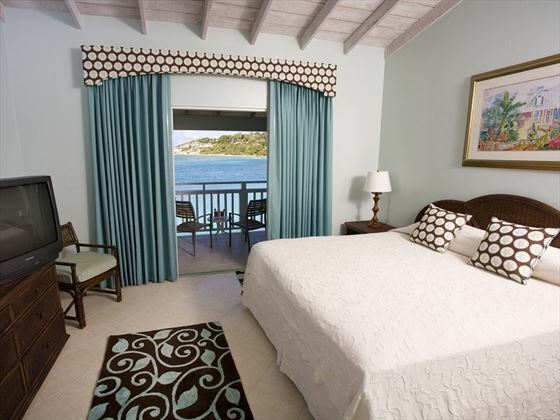 The rooms here are full of Caribbean character, with rustic rattan furnishings fused with brightly coloured décor. Some of the rooms feature a communal veranda – perfect for catching a gorgeous sunset with newfound friends – however if you fancy something a bit more private, we’d suggest opting for a ground floor room with its own intimate patio. 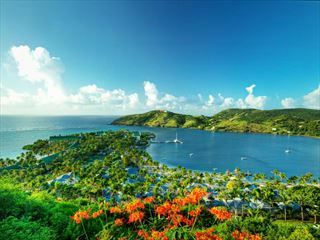 This all-inclusive resort is as laidback as it gets, but there’s plenty to do too. 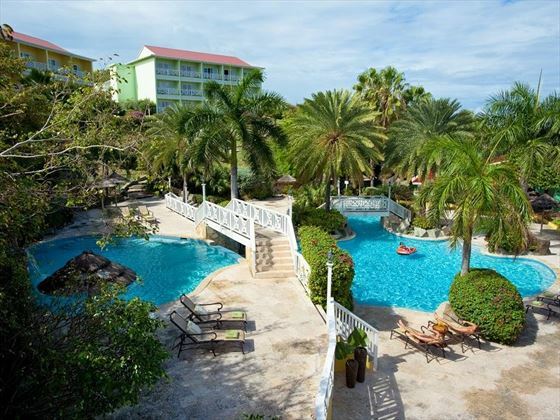 You’re more than welcome to spend the whole time relaxing by one of the three freshwater pools, but those hoping for a more active break have lots of water sports to keep them entertained, including snorkelling with tropical marine life in the crystal-clear waters. The restaurants here are well-worth shouting about too. 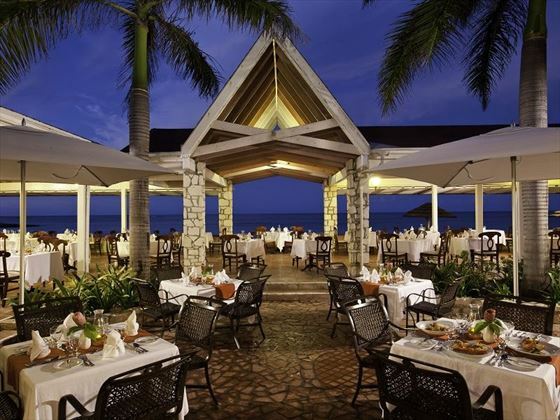 Delightful Caribbean fare is on order at Pineapple Grill, or honeymooners will relish an idyllic candlelit dinner at the romantic Chef Pietro’s. Our favourite has to be The Outhouse. Tucked away on the hillside, this rustic shack offers sensational authentic dishes, and afterwards you can create your own personalised sign to go up on the walls and eternalise your visit. 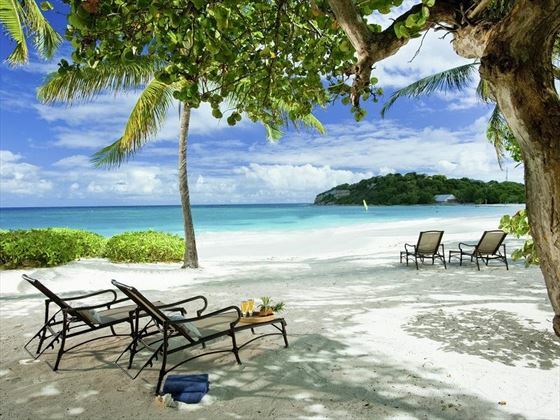 This gorgeous retreat is nestled on the startling white sands of Long Bay, a beautiful stretch of beach close by to the charming village of Willikies on the east of the island. 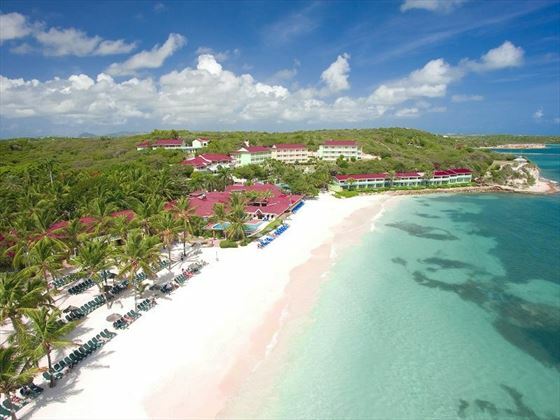 You’ll find the resort tucked away along the beach’s curve, offering a quarter-mile of stunning sands and 30 acres of tropical gardens. 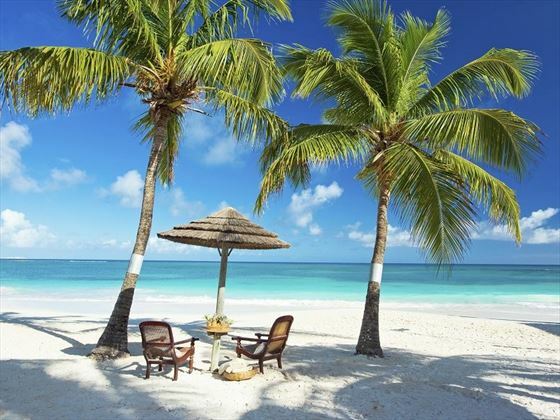 There is ample opportunity to enjoy the dazzling beach to your heart’s content. Long Beach’s crystal-clear waters are perfect for an afternoon of swimming, and the wonderful Stingray City is only a 10-minute drive away. 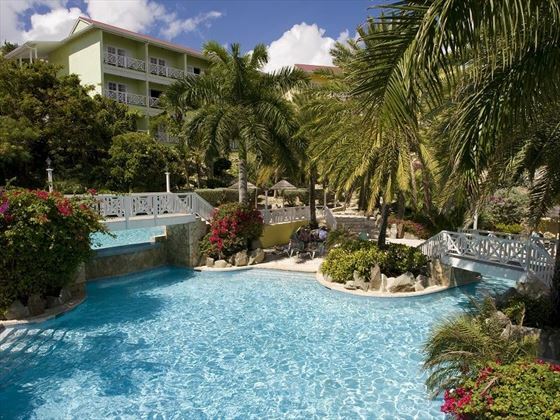 The resort is a half hour drive away from V C Bird International Airport. Chef’s Pietro – Offering varied Italian cuisine buffet and full bar service. Pelican Snack Grill - serving light lunches, afternoon and evening snacks to include, sandwiches and burgers. Please note restaurants open on a rotational basis, usually two restaurants are open per night and all will be open during the course of the week to guarantee guests have the most varied and terrific dining experience. When dining, shoes must be worn, bathing suits must be covered & dry and tshirts & shorts are the norm. After 6.30pm men have to wear long trousers, stylish jeans are acceptable and women have to wear dresses, slacks or culottes. Closed shoes must be worn. (no shorts or short outfits). Daily activities - aerobics, volleyball etc. Please note guests are required to present a valid form of ID (Passport, driving license, ID card) along with a valid credit card at check-in. At check-in a US$350 pre-authorisation will be processed on your card to cover any incidental purchases or similar expenses. Incidental purchases may include things like tours, excursions, gift shop purchases, and dining in the speciality restaurants. We understand that not all guests incur additional charges during their stay, but this process assists the resort with fraud prevention. The pre-authorisation is released at check-out, assuming you have not charged any purchases to your room. 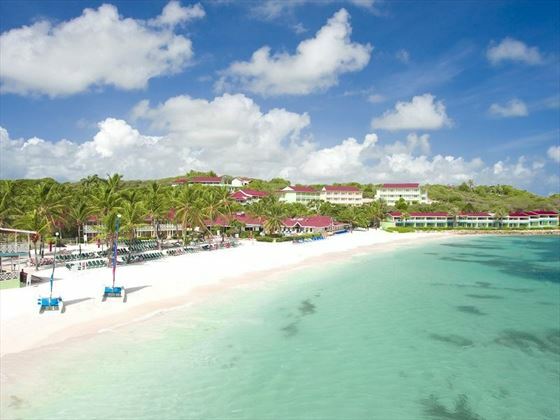 Pineapple Beach Club Antigua has commenced the further improvement of its guest rooms and the addition of a brand new Spa facility, all of which will be completed by December 1, 2018. 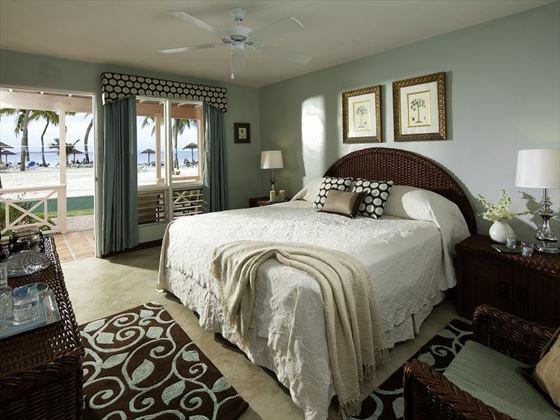 This project affects just one building comprised of 14 guest rooms (12 Garden View Rooms and 2 Beachfront Rooms). 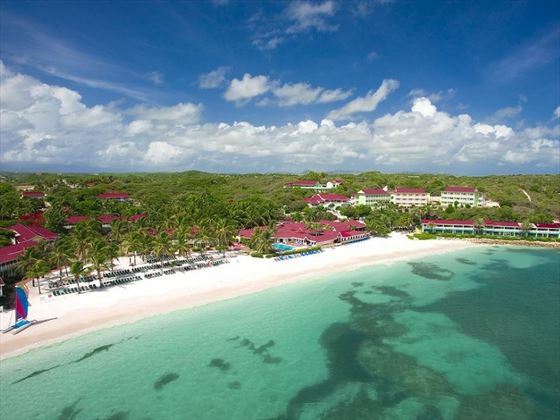 The building in question is located at the far end of the resort, away from the resort’s main facilities and beach areas. The renovation works are being completed without the use of any heavy equipment, and every effort has been made to ensure that the renovation workswhich are only being carried out between the hours of 9:00 a.m. and 5:00 p.